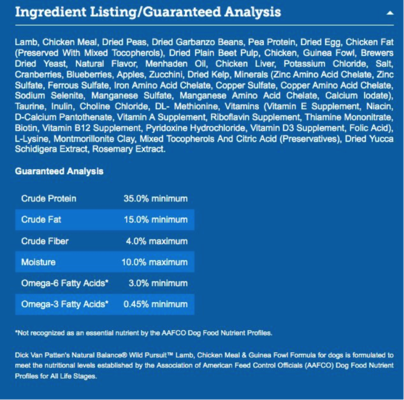 Have you ever taken a look at what goes into your pet’s food? There are several dozen ingredients in your average dog or cat food, so it’s important to know what you actually want to see listed there on the back of the package. When you’re looking at the ingredients that go into your pet’s food, the main thing you want to see is high-quality, digestible, meat-based animal protein sources. This can be anything from fowl to cow, and many other creatures wild and domesticated: fish, buffalo, venison, lamb, pork, and so on. This is going to apply more to dry food than to wet but you’re going to want to see some other whole foods like fruits and vegetables such as: peas, pumpkin, garbanzo beans, beets, apples, zucchini, kelp, blueberries, cranberries, and so on. These items are nutrient-rich and also happen to help clump the food into those handy kibble shapes that dogs and cats love chomping on. If you continue down the list of ingredients, you’re going to see some kind of healthy fat or oil. These healthy fats such as fish oils, flaxseed, and canola oil are also a good source of omega-3 and omega-6 fatty acids for your pet. Okay, looking good. The main ingredients are high-quality proteins that can be easily digested by your pet. We see some whole foods like garbanzo beans and peas and some chicken fat. All the things you would expect to see in a high-quality dog or cat food. 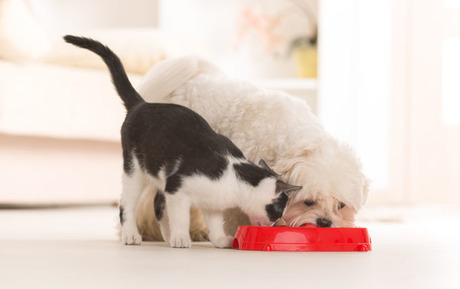 Though the list of healthy ingredients you want to see in your pet’s food can be a long one, it can really be broken down into these 3 simple categories so pull out your dog or cat’s food and check out the label. What do you look for in a pet food?